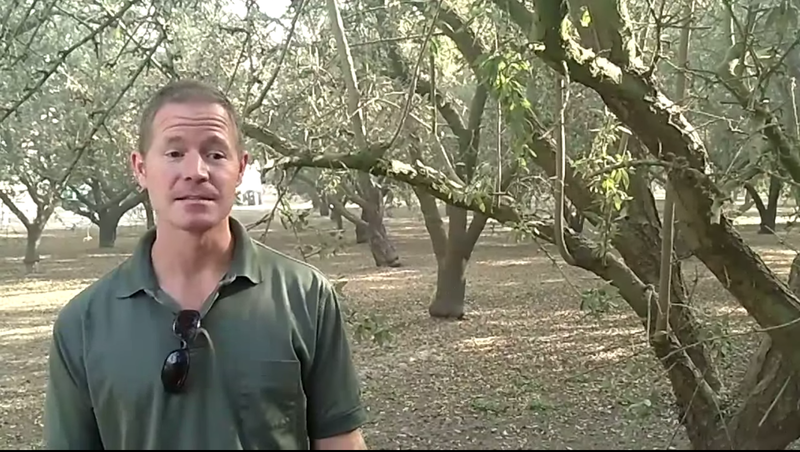 VIDEO: History of a Family Farm, Growing Almonds at @4GFarms - JP loves LIFE! I love asking farmers how their family farm got started. And as we walked into the first almond Since Brent is planning on the next generation taking over the family’s farm one day, I asked him about the Boersmas. The story was so compelling that I convinced Brent to back up a few minutes and tell me his family farm’s history on video so we could share it here (and who knows, it may provide a good add for their farm’s blog about page). Some of the farm’s history follows below for those who may not be able to watch the video, and so people searching for Brent’s farm can find it. But you really should hear it straight from him. He tells the story better and they have a brief history on the farm website! Remember, it was a spur of the minute conversation so Brent’s trying to remember as we go…. He’s so easy to talk to (have I mentioned he loves to talk?) The Boersma family (that’s Dutch heritage FYI) was living in Iowa in the 1930s when Brent’s grandpa decided to move the family to California. They settled in the town of Rippon and eventually began the farm north of town where Brent was standing as he told the story. Grandpa started the farm with livestock and alfalfa. As the story goes, a nurseryman came by with almond trees and offered Mr. Boersma almond trees for 25 cents planted and Boersma said why not. The farm has grown to 2,500 acres or more, some owned, some leased, etc. The family also has a shelling facility. Selling into farmers markets, etc. is a challenge as regulations require pasteurization of almonds and the equipment needed is expensive. The family sells their crops the way most almond farmers do — by working through a distributor to go to a process for grading and marketing. The bulk of the Boersma’s crop goes into the export market. Blue Diamond is one of the biggest processors and although the Boersmas don’t sell through Blue Diamond, some of the neighbors they shell nuts for do. Processors combine almonds by variety and then grade them based on size and quality for sell. The Boersma work through a processor that allows them to remain involved in the marketing of the crop. What’s your family’s history with farming or the occupations you have chosen?